Ashland; David Woodward, Numedia,PA; Gena Maurer and Frank Woodward of Ashland. Six grandchildren,six great grand children, nieces and nephews survive. 9:00-10:45 AM. 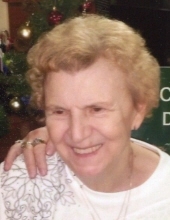 Memorial donations in Memory of Mary can be made to the Alzeheimers Association, 2595 Interstate Dr., Harrisburg, PA 17110. Kull-Heizenroth Funeral Home, Ashland is in charge of arrangements. To send flowers or a remembrance gift to the family of Mary E. Kelly, please visit our Tribute Store. "Email Address" would like to share the life celebration of Mary E. Kelly. Click on the "link" to go to share a favorite memory or leave a condolence message for the family.